Last Saturday, my younger one's school conducted an eco friendly Ddiwali chain rally. A rally against the use of crackers. Small kids to elders were participated in that rally. But today, I wake up with the sounds of crackers. Then why we are conducting such rally, just a show off ? Many of us cannot imagine a Diwali without crackers, right. But we should think of the side effects, pollutions and all, I think it is a bold movement from the government. Let us give some space to other creatures on earth. Let us celebrate a peaceful Diwali this time and offers a lot of love and care to other creatures by avoiding noise and air pollution. They also have the same right to live on earth like us. Wishing you a happy Diwali. fills your life with lots of love and happiness. Today, we are discussing about omapodi, a very tasty snack usually prepared during diwali and navarathri celebrations in South India. 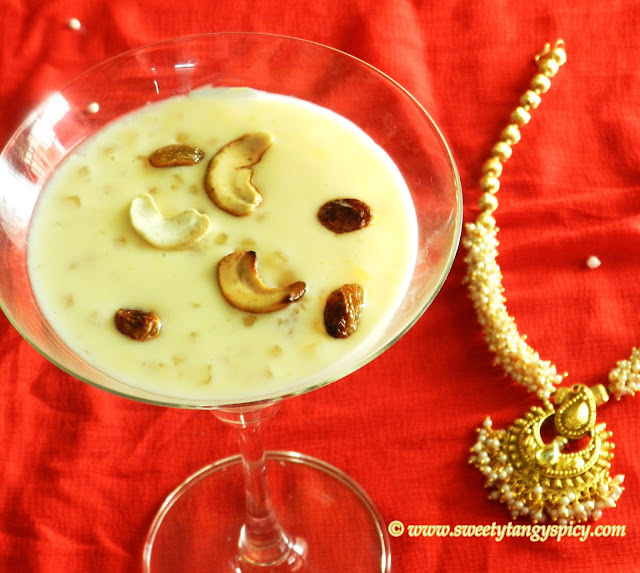 I tasted many times in kerala before but was unaware of the recipe. 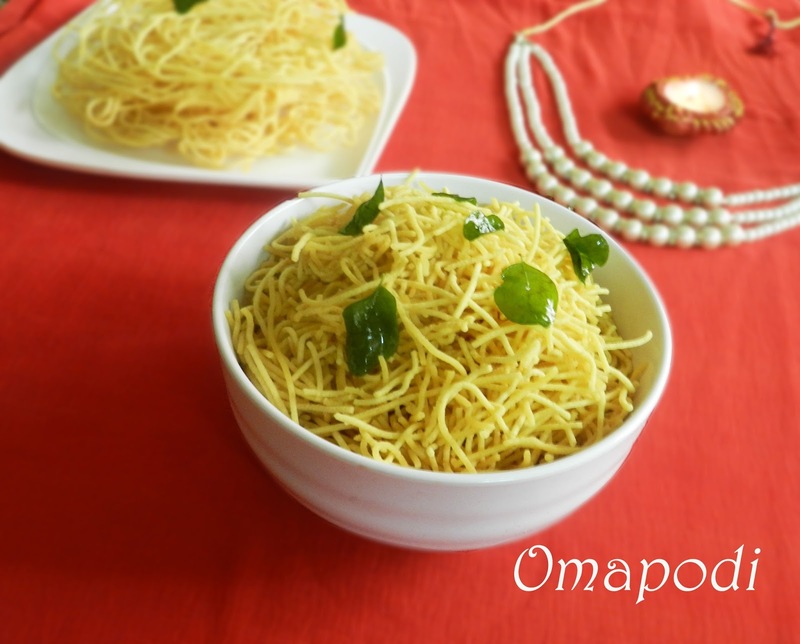 This is very simple, easy to prepare and also a tasty snack. My kids love this very much. I make this at home very often as an evening snack. 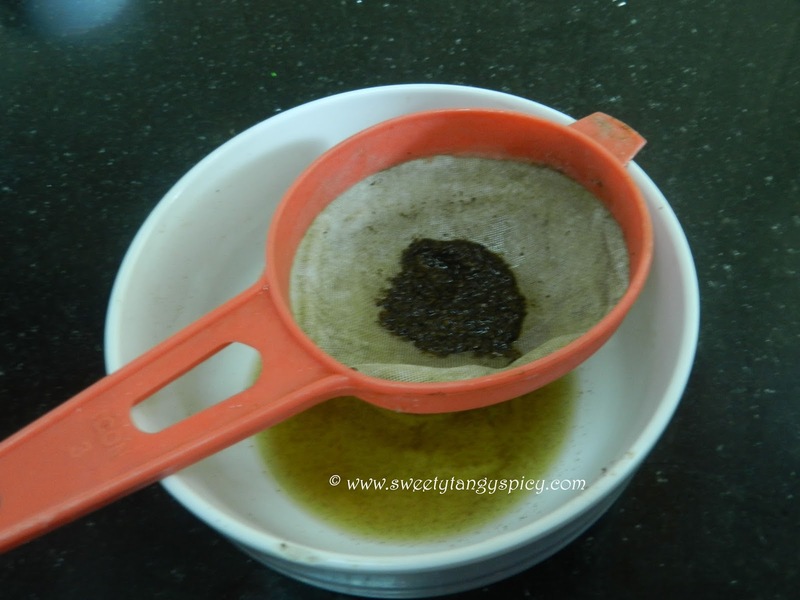 The main flavoring agent is carom seeds or omam which is known as ayamodakam in malayalam and ajwain in hindi. It aids digestion and useful for stomach problems. 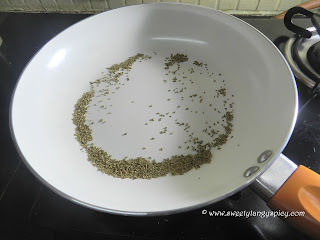 The amount depends on your taste, I like only a mild flavour of carom seeds so I am using this in small quantity only. prevent burning or decoloration of it. I would like t o suggest you to keep the flame on medium heat once the oil is hot. 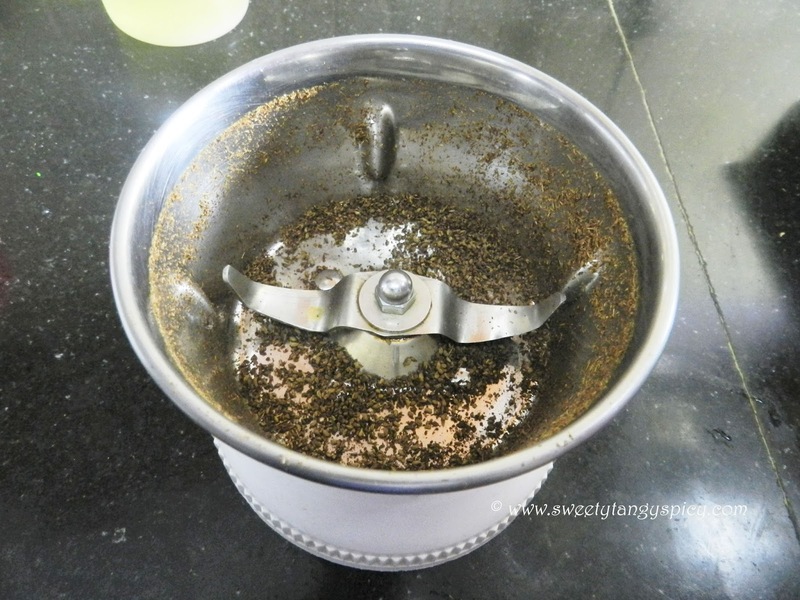 Dry roast carom seeds (omam, ajwain or ayamodakam) till a nice aroma starts. 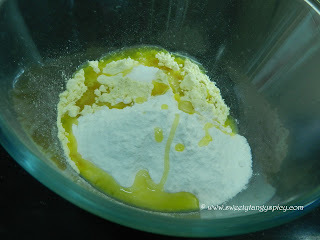 Transfer into a mixer grinder and powder it. You can use motor and pestle if you want. Then add 1 tablespoon of water and leave it for ten minutes. After ten minutes, strain it through a tea strainer and keep aside. Take gram flour, rice flour, salt and butter in a bowl. 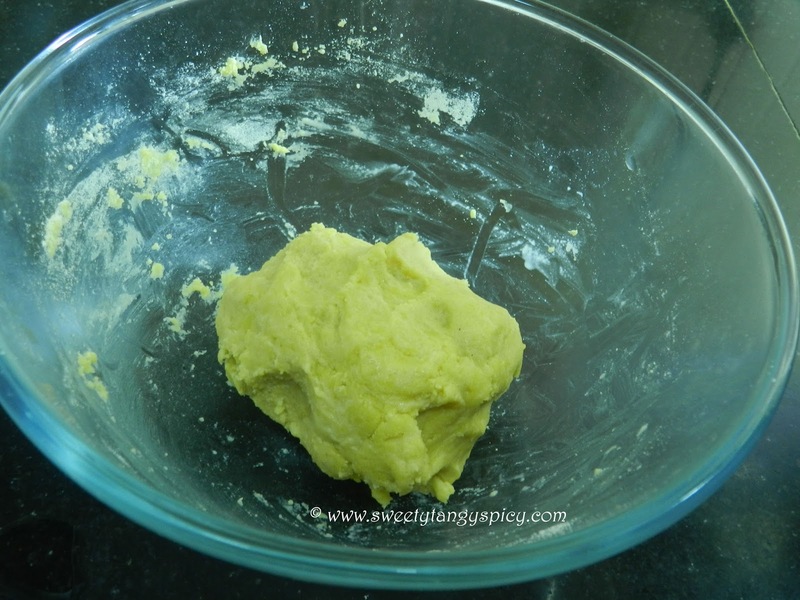 Gently rub till the butter mixes with the gram flour nicely. Add ajwain water and mix well. Now pour water little by little and make a thick dough, but should be looser than chapathi dough. 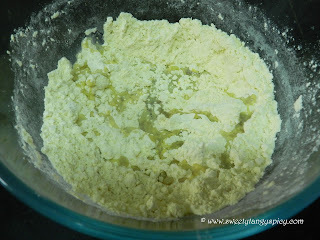 Transfer this dough into the sev maker. Use the plate with smaller holes. Heat oil in a thick bottomed kadai. Once hot, reduce the flame to medium. 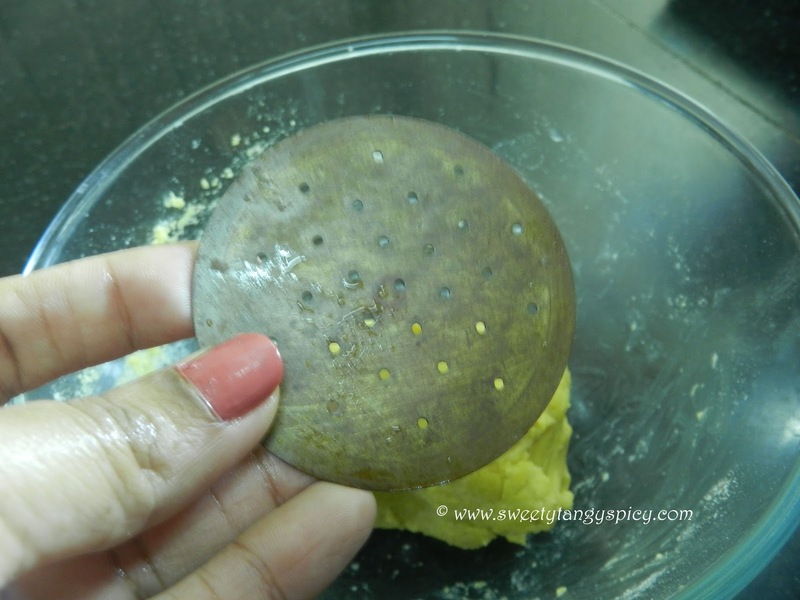 Gently squeeze the batter into the oil and make small round sevai. Fry till turns crisp. When one side is done, flip and cook the other side also. Heat up a pan and dry roast omam or carom seeds till a nice aroma starts and it will start to crackle. When crackling starts switch off the stove because further cooking will occur due to the heat inside the pan itself. Do not forget to turn the flame to medium and also stir it continuously to prevent burning. Transfer into a clean, dry mixer grinder jar and powder it. 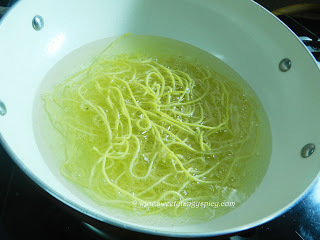 Add some water about 1 tablespoon only and keep aside for 10 minutes. This will allow us to extract the flavours easily. You can also soak the carom seeds in hot water without roasting it, but I feel the first method is better than the other. After ten minutes, sieve it through a tea strainer and extract the water. Keep aside. 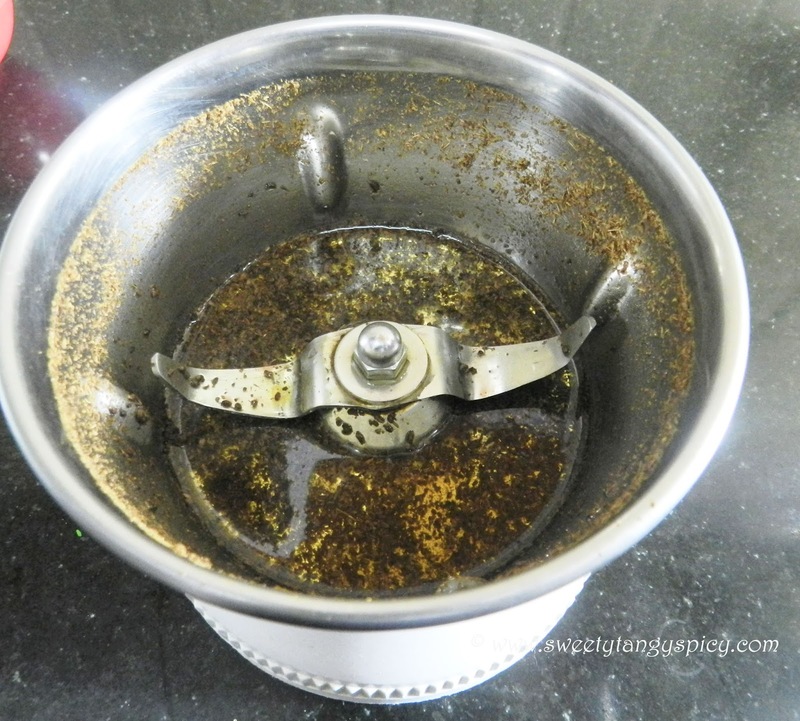 Take 1 cup gram flour (besan or kadala podi), 1/4 cup rice flour, salt and 1 tablespoon ghee in a bowl. Mix thoroughly using a spoon or with your hand so that each and every components mix with each other nicely. Then add the carom seed water, mix once again. 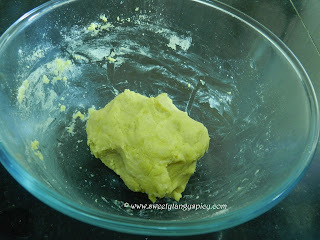 Now you can start preparing a loose but thick dough adding water. The gram flour is usually sticky, so do not add too much water at a time, better to sprinkle water little by little and start mixing. 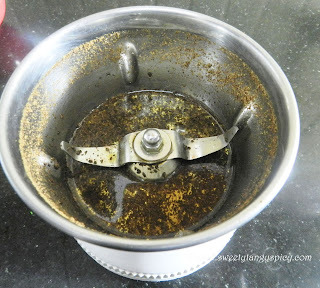 If your batter is too thick, you will not be able to press through the sevai or idiyappam press. 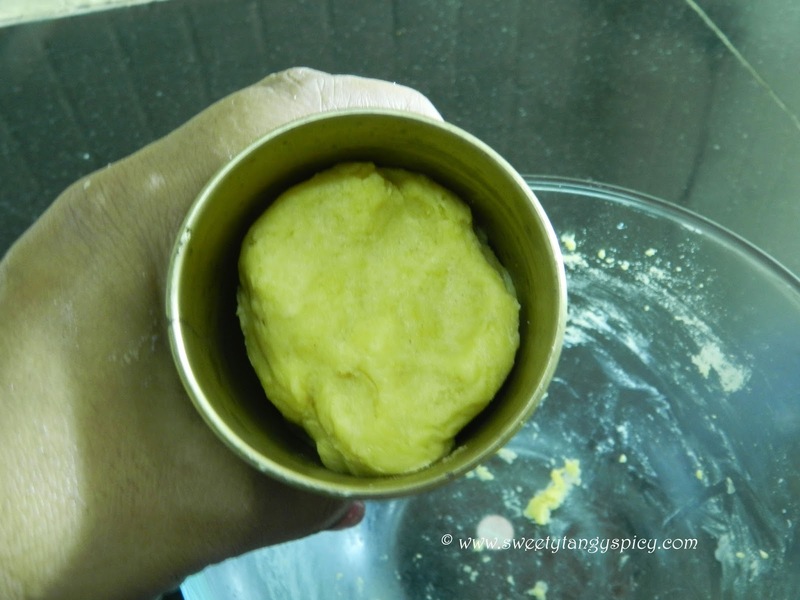 Your dough will be a little bit looser than the chapathi dough. Use plate with smaller holes of sevai. Heat oil for deep frying. Once the oil is hot, reduce the flame to medium. Gently and carefully press the sevai directly into the hot oil. 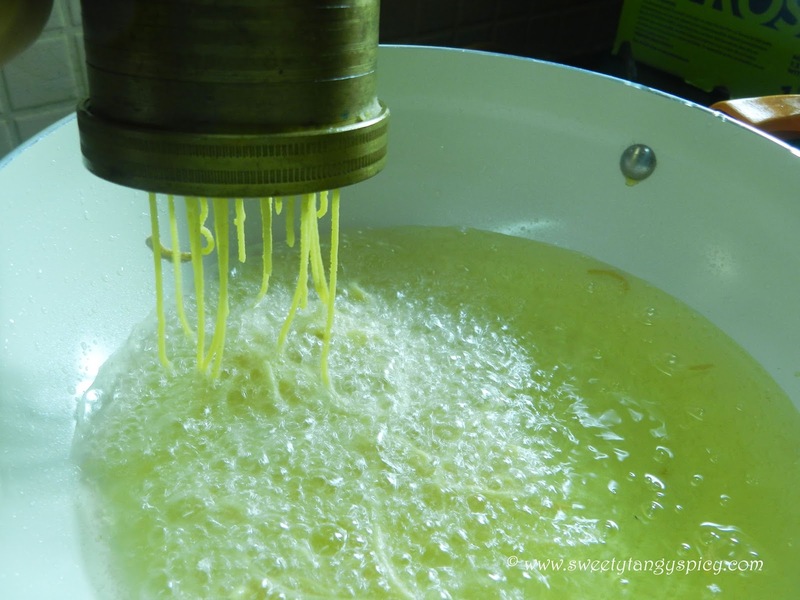 Once the bubbling decreases and almost stop, you can flip the omapodi. At this time, the omapodi will be crisp. Take out from the oil once ready. 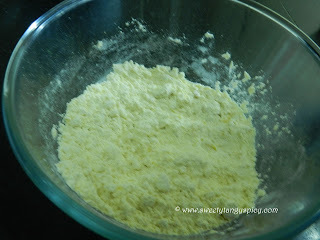 Allow it to cool down a little bit, then crush it so that we get small pieces just like mixture. You can store it in airtight containers. 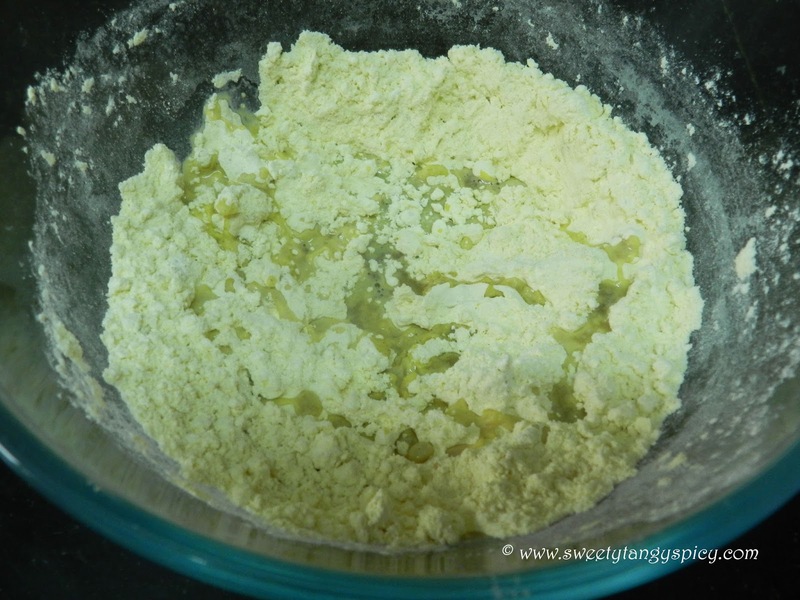 You have to use smooth gram flour and rice flour. Never use coarsely ground ones. The taste comes from the carom seeds (omam, ajwain or ayamodakam). You can increase the amount a little bit, if you want. 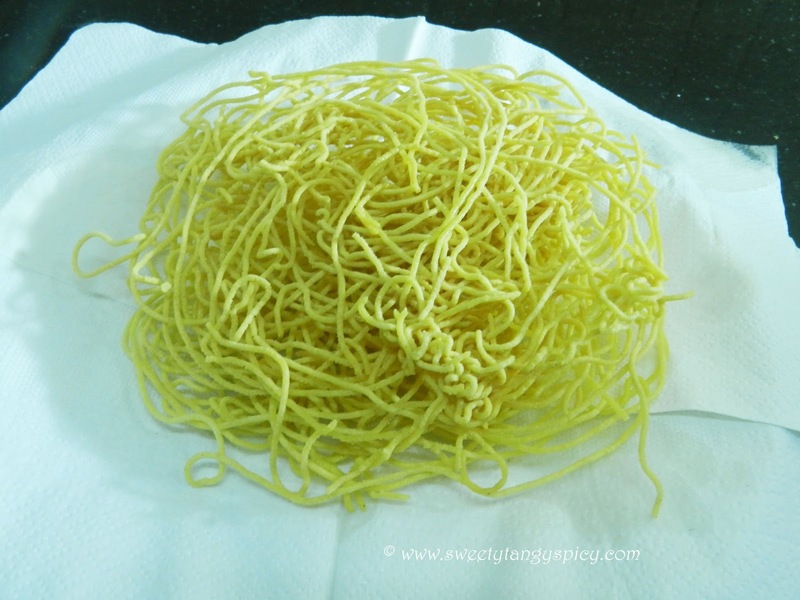 Never fry sev on high flame. It will make it crispier in seconds and will be difficult to manage.